The SDF recently celebrated the grand opening of its National Training Center located on 125 acres of donated historic ranch land in Santa Paula. The new center features kennels, beginning and advanced training areas, handlers’ accommodations, classrooms and offices. Sanders said that it takes eight to 10 months to train a search dog (any dog who doesn’t complete training is placed into a loving home) and two weeks to train a handler at the SDF training center. Dog and handler teams continue to train daily together and weekly with their training group. After anywhere from eight months to one year, the search team is generally ready to take their Certification Evaluation (administered either by the Federal Emergency Management Agency (FEMA) or the State Urban Search and Rescue Alliance). This certification makes them deployable and ready to respond when the call comes. While much of what the SDF-trained dogs provide is the comfort and confidence of knowing that no one is left behind in the wake of natural disasters, they also assist in finding people. For example Jester, a Border collie mix who was on the euthanasia list when rescued from the High Sierra Animal Rescue, and his handler Orange County Firefighter Davis Doty helped find a man who had been reported missing in Laguna Beach in 2009. In 2010 following the devastating earthquake in Port-au-Prince, Haiti several SDF-trained teams helped find numerous people buried beneath the rubble. And in 2015 six SDF-trained dogs helped find a teenager buried in the rubble following an earthquake in Nepal. When they’re not on deployment all of the search dogs live at home with their handlers or at the fire station when their partners are at work. 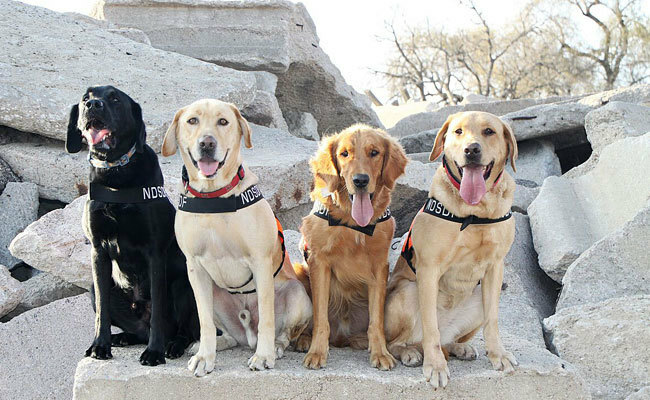 “The dogs and handlers are together 24/7 so they are ready to go at a moment’s notice,” Sanders said. 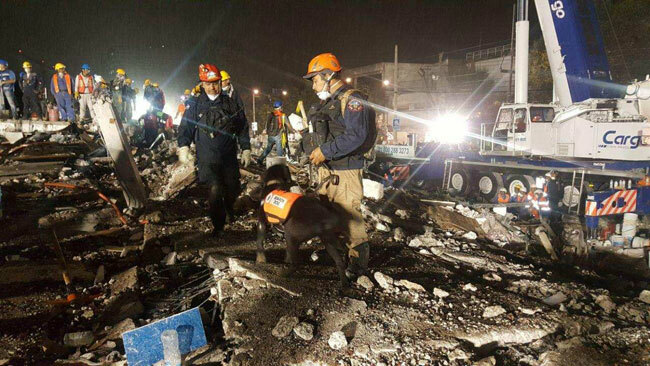 For more information and ways to help visit The National Disaster Search Dog Foundation.